Developed, tested and perfected in-house by our team of designers and engineers, the ‘Leka System’ is a solid, conservatory roof system that delivers. We designed the Leka Roof to outperform as well as outlast common glass and polycarbonate roofing systems. It’s so good it has been approved by JHAI, the approved building inspector licenced by the Government, and our patent-pending technologies lead the way for innovation in the industry. 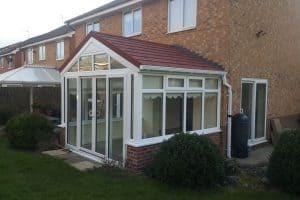 If you have a glazed or polycarbonate roofing system on your conservatory, you may find the space too hot in the summer and too cold in the winter. The reason for this is poor roof insulation. It is also common for homeowners to find glare in the winter and summer unbearable. The Leka System solves both these issues with proper insulation set into a solid, tiled conservatory roof. This creates a more usable space year-round. The Leka, tiled conservatory roof is far superior to competitor systems. It delivers the performance, efficiency and longevity of your normal roof, and crucially, a material match. You can have a concrete effect or slate effect tile in a wide range of colours. An advantage to our lightweight conservatory roof has over the competition is it is JHAI approved, which allows building applications to be fast-tracked in most cases. This speeds up the build and is one of the reasons why installers love our system. The Leka, solid roof conservatory system is compatible with most existing conservatory builds or can replace a traditional roofing system on a new build. Our system weighs little more than a common glass roofing system with the benefits of added warmth and reduced glare. It’s the best warm roof conservatory system on the market in our opinion. Importantly, existing conservatories rarely need extra structural bracing, but should always be checked for suitability. This is key because it shows just how lightweight the Leka System is. It achieves this with an overall U value of 0.15. The closer a U value is to 0 the better insulated a roof is. Our warm roof conservatory, is one of the most thermally efficient on the market. Because of its superior performance, the Leka, conservatory roof system is often the first choice for a solid conservatory roof conversion and only Certified Installers may erect it. Certified Installers are trained to fully understand the system and how it should be tested. This ensures every installation is a high-quality one. If you are an end-user, always ensure your installer is Certified. We can verify installers if you contact us. You can have your new, warm roof conservatory in a near unlimited range of styles. Popular styles include Victorian, Edwardian, gable ended, lean-to and combination. The Leka System can match the design of your old roof or replace it with a new design. It’s up to you. The Leka, conservatory roof system uses Tapco slate and Metrotile concrete effect tiles. These engineered tiles are strong and unlike the natural alternative they don’t degrade or weather over time. Some competitor roofs weigh twice that of our system. 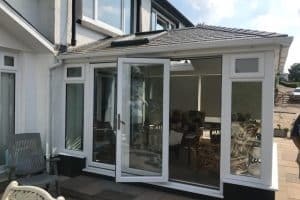 We listened to our customers and leant on our extensive experience in the trade to design a genuine lightweight, tiled conservatory roofing system. When only the very best will do, the Leka System delivers, and that’s a guarantee. Watch our video explaining how you can order a Leka System. How do you benefit from our certified installers & qualified sales reps? Find out how to become a certified Installer with Leka Systems. What are the benefits to you? How are you trained and qualified by us? 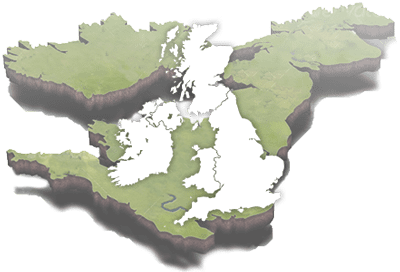 Wherever you live in the UK & Ireland, we have you covered. Leka Systems is proud to work with a number of certified Retailers and Manufactures across the UK. 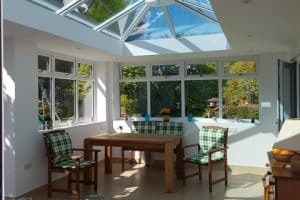 Why Choose A Leka Conservatory Roof Conversion?